Angela Scott says her theater room is the “woman’s cave.” It is “really comfortable,” she said of the room. The walls are painted dark burgundy with gold dust in the paint. 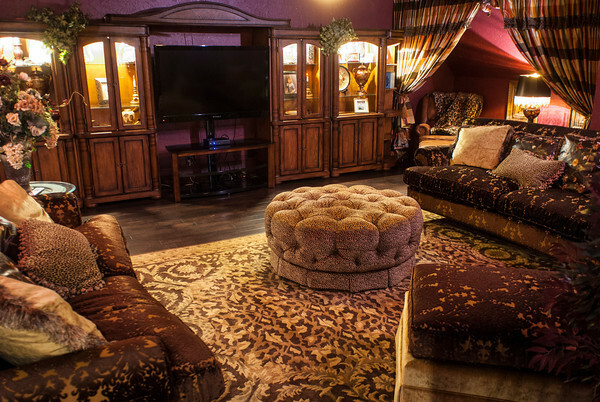 A round cheetah-covered ottoman is in the center of the room.